We have won over $1 billion for our clients. We have won over 5000 cases. We graduated from Harvard Law School. We have 5 star Yelp and Google ratings. We have a perfect 10.0 Avvo rating. Call us now! Why choose West Coast Trial Lawyers? 1. We have won more than $1 billion for our clients. 2. We have won more than 5000 cases. 3. We have more than 30 years of experience. 4. We were educated at Harvard Law School. 5. We are trial lawyers. 6. We specialize in injury and death cases. 7. We stand up to insurance companies. 8. We fight for justice for innocent victims. 9. We offer free, no obligation consultations. 10. If we don't win, you don't pay. Compare our credentials and our results to other personal injury attorneys. We were trained at the best universities in the world (Harvard and Oxford). We are former city and federal prosecutors, and have years of experience working at the largest and most prestigious law firms in Los Angeles (O'Melveny & Myers and Gibson, Dunn & Crutcher). We have won thousands of cases and have won more than one billion dollars for our clients. If you can find a better car accident attorney or personal injury attorney to handle your case, hire them. We believe in our clients and their cases, so we work on a contingency fee basis. That means our clients pay absolutely no attorney fees or costs until we win their case. We handle everything from car accidents to catastrophic injury and wrongful death cases. We get the best settlements from insurance companies because we are trial lawyers and prepare every case with the intention of going to trial. Call us 24 hours a day, 7 days a week, for a free, no obligation consultation. Yes. Consulations are always free. We work on a contingency fee basis, which means if we don't win, you don't pay. None. You pay no attorney fees or costs until we win your case. Call us today, toll free, to discuss your case. Consultations are always free, and our friendly staff is available to help 24 hours a day. Large trucks and semis are one of the leading causes of traffic related deaths in the United States. A typical tractor-trailer or eighteen-wheeler weighs 20 to 30 times more than a passenger vehicle. Due to their sheer weight and size, the truck is virtually guaranteed to crush a smaller vehicle in an accident. When a truck hits a car, the occupants of the car are often killed or suffer very serious injuries, such as brain and spinal cord injuries, while the truck driver walks away from the accident unharmed. Trucks pose a great risk to other vehicles on the road. Trucks are subject to state and federal laws and regulations to minimize this risk, but some truck drivers and trucking companies ignore these laws to maximize profits and make deadlines. For example, trucks must be regularly inspected to ensure that all of their parts are working properly. Failure to perform this required testing and maintenance can endanger the public and result in fatal traffic accidents. Similarly, some truck drivers work long hours to meet demanding deadlines. The resulting fatigue and exhaustion can result in a fatal accident. When truck accidents happen, the trucking company usually sends representatives to the scene to perform their own "analysis" of the accident and limit the company's liability. The representatives often confront victims at the scene, when they are most vulnerable. Truck accident victims should not speak with the trucking company or its insurance company before consulting with an attorney. If you have been involved in a truck accident, protect your rights by contacting West Coast Trial Lawyers for a free case evaluation. We're dedicated to helping the victims of truck accidents receive the compensation they deserve, and if we don't win your case, you don't pay. We have represented thousands of clients, and have helped them recover more than $1 billion in verdicts and settlements over the past fifteen years. We aggressively fight for full compensation for every client, and we prepare every case with the intention of going to trial. Because we take cases to trial and we win, we get the best settlements from insurance companies. There is no greater tragedy than losing a family member, especially when the death was avoidable and caused by the carelessness of someone else. Wrongful death may occur because of a car or truck accident, or as a result of a defective product or medical malpractice. Losing a loved one is very difficult emotionally and financially. Family members suffer loss of income, loss of help, and have to incur funeral expenses. More importantly, family members lose the love, care, and the affection they received from their deceased family member. The law entitles children, spouses, and parents of deceased victims to compensation for this loss. While no amount of money can replace your loved one, your family should not suffer financially because of someone else's violation of important safety rules. Financial compensation can help your family deal with the loss and provide support for those left behind. We have represented thousands of clients, and have helped them recover more than $1 billion in verdicts and settlements over the past fifteen years. We aggressively fight for full compensation for every client, and we prepare every case with the intention of going to trial. Because we take cases to trial and we win, we get the best settlements from insurance companies. 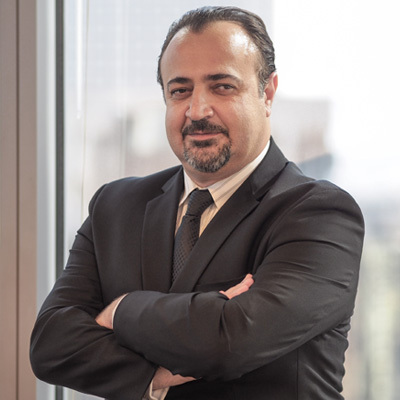 The history of West Coast Trial Lawyers begins in 2000, when co-founders Allen Patatanyan and Neama Rahmani first met. They had performed very well in law school, and were both recruited and hired by the largest law firm in Los Angeles to defend big corporations against civil lawsuits filed by other companies and individuals. Together, Allen and Neama represented some of the largest companies in the world, such as Disney, Marriott, and the Roman Catholic Church. But their passion lay elsewhere, so Allen and Neama left the comfort and the salary of the corporate law firm to pursue justice on behalf of ordinary people. For Allen and Neama, the decision was easy. They had taken an oath to uphold the Constitution and to ensure justice for all, not just corporations who could afford to pay hundreds an hour in legal fees. Allen immediately began representing people who had suffered harm, while Neama joined the government (first the Department of Justice, then the Ethics Commission) to prosecute drug trafficking and public corruption cases. After a very successful stint as a prosecutor, Neama rejoined Allen, and together with their team of attorneys, paralegals, and legal assistants at West Coast Trial Lawyers, they work as trial lawyers for the people. We try cases on behalf of those who have been victimized by unlawful or unsafe conduct, and use our civil justice system to stop the conduct and protect others in the community. Over the past fifteen years, our attorneys have represented thousands of clients and have recovered more than $1 billion in verdicts and settlements. We are trial lawyers, and we get the best settlements from insurance companies because we prepare every case with the intention of going to trial. By holding wrongdoers responsible for their misconduct, we ensure justice for our clients and make the world a safer place for all of us. At West Coast Trial Lawyers, we believe that all people deserve the highest quality legal representation with uncompromising integrity. We represent clients from all walks of life: rich, poor, United States citizens, and those without immigration status. Everyone is entitled to justice, not just those who can afford to pay huge legal bills. Our system of justice falls apart if only wealthy corporations and insurance companies can hire the best and brightest lawyers. Our goal is to provide ordinary people the best legal representation with the best results. We believe in our clients and their cases, so we work on a contingency fee basis. That means our clients pay no attorney's fees or costs until we win their case. Neama is the President and co-founder of West Coast Trial Lawyers. Neama graduated from UCLA at the age of 19 and Harvard Law School at the age of 22, making him one of the youngest graduates in the 200-year history of the law school. Upon graduation, Neama was hired by O'Melveny & Myers, the largest law firm in Los Angeles, where he represented companies such as Disney, Marriott, and the Roman Catholic Church. But Neama wanted to help ordinary people, not corporations, so he joined the United States Attorney's Office, where he prosecuted drug and human trafficking cases along the United States-Mexico border. While working as a federal prosecutor, Neama captured and successfully prosecuted a fugitive murderer and drug kingpin who had terrorized Southern California and was featured on "America's Most Wanted." Neama was then appointed to be the Director of Enforcement of the Los Angeles City Ethics Commission, an independent watchdog that oversees and investigates the elected officials and highest level employees of the City of Los Angeles, including the Mayor and City Council. He held that position until becoming a trial lawyer for the people. Neama has extensive trial experience. He has led teams of more than 170 attorneys in litigation against the largest companies in the world. Neama has successfully tried dozens of cases to verdict as lead trial counsel, and has argued before both state and federal appeals courts. 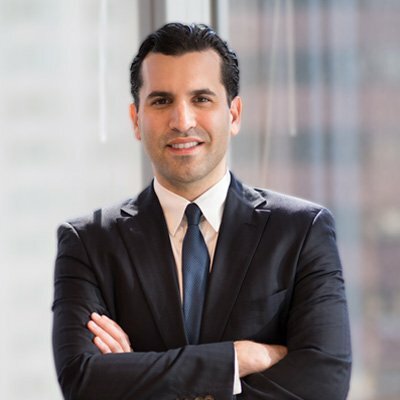 Over the course of his career, Neama has handled thousands of cases as attorney of record and has helped his clients obtain more than $1 billion in settlements and judgments. Allen is the co-founder of West Coast Trial Lawyers and its Managing Attorney. Allen graduated from Southwestern University School of Law in the top 1% of his class. While at Southwestern, Allen was a distinguished member of Southwestern's Law Review, as well as Southwestern's Moot Court Honors Program. While in law school, Allen was recruited by O'Melveny & Myers, the largest law firm in Los Angeles. There, he met West Coast Trial Lawyers co-founder Neama Rahmani, and for years they represented some of the largest companies in the world. But Allen didn't go to law school to help corporations make money, so he left O'Melveny & Myers and opened his own law firm across the street from where he once practiced. Allen has spent the past ten years fighting on behalf of ordinary people and aggressively pursing those who have caused harm. Over the course of his career, Allen has helped thousands of people obtain tens of millions of dollars in settlements and judgments.